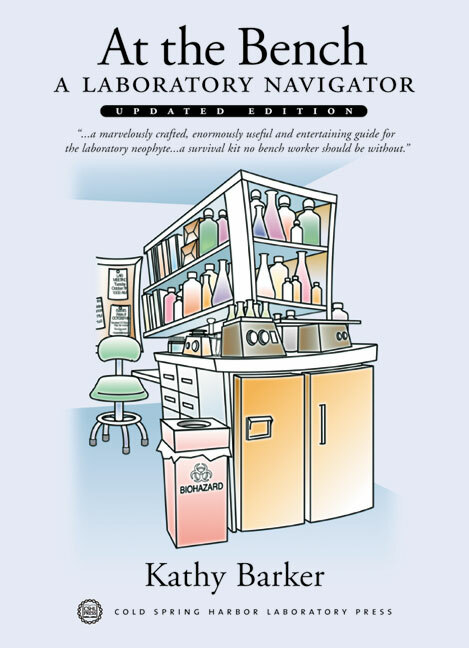 At the Bench is the unique and hugely successful handbook for living and working in the laboratory, an essential aid to understanding basic lab techniques and how research groups work at a human level. In this newly revised edition, chapters have been rewritten to accommodate the impact of computer technology and the Internet, not only on the acquisition and analysis of data, but also on its organization and presentation. Alternatives to the use of radiation have been expanded, and figures and illustrations have been redrawn to reflect changes in laboratory equipment and procedures. Wise, light-hearted, but thoroughly practical, Dr. Barker offers advice, moral support, social etiquette, and professional reassurance along with assume-nothing, step-by-step instructions for those basic but vital laboratory procedures that experienced investigators knowbut may not realize novices dont. If you are a graduate student, a physician with research intentions, or a laboratory technician, this book is indispensable. If you have to manage or mentor such people, giving a copy to each of them will greatly improve your life, and theirs. In an article on Science's career development website, Laura Bonetta describes how the books An Illustrated Chinese-English Guide for Biomedical Scientists, At the Bench, and At the Helm have helped foreign scientists adapt to working in the United States.